The Brexit deal that Theresa May unveiled last week is the only option for Britain to exit the European Union, the U.K. prime minister wrote in the Mail on Sunday. 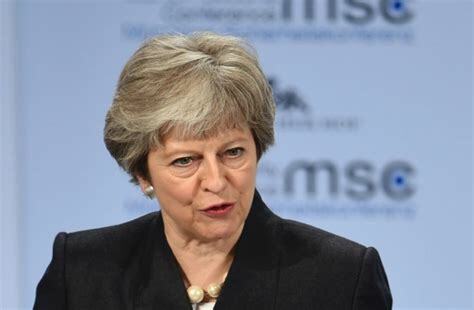 May has been trying to tamp down rebellions within the Conservative Party over her Brexit plan, as it lays out a closer relationship to the EU single market than many pro-Brexit campaigners hoped. The blueprint, which calls for a new U.K.-EU “free trade area,” with interlinked customs regimes, prompted the resignations of Foreign Minister Boris Johnson and May’s chief Brexit negotiator David Davis, helping to fuel speculation of a possible leadership challenge. In the letter, May warns parliamentarians seeking to scuttle the plan -- and also those trying to force amendments to strengthen post-Brexit EU ties -- that they risk causing “a damaging and disorderly Brexit” and the possibility of the U.K. crashing out of the EU with no Brexit deal.